Mark Dery › Critic. Essayist. Book Author. Lecturer. 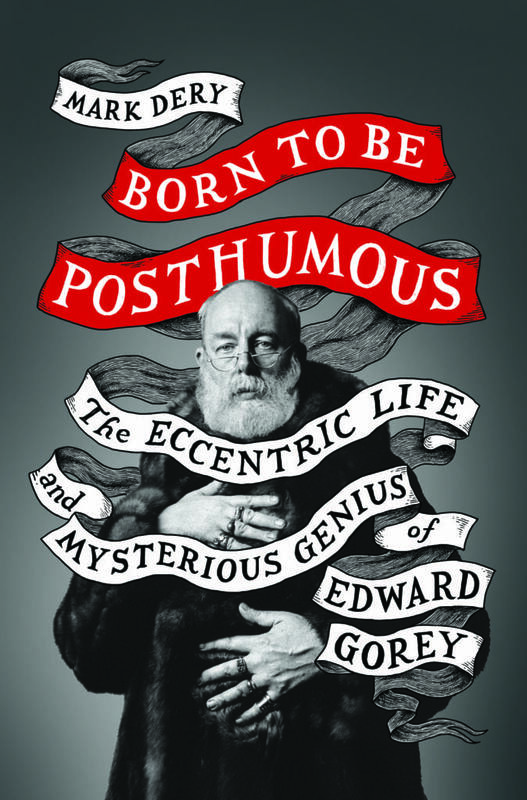 Born to be Posthumous: The Eccentric Life and Mysterious Genius of Edward Gorey (Little, Brown) ORDER NOW HERE. NEWSFLASH! Tickets to my conversation about Edward Gorey, next Wednesday (April 17) at 6:30 PM in the Mid-Manhattan Library at 42nd Street, Program Room, with NYT book critic Jennifer Szalai are free but they’re going fast! Grab yours here. One of the Best Books of the Year—NPR. “Editors’ Choice: 11 New Books We Recommend This Week.”—The New York Times. Best books of 2018—The Guardian. “4 Books We’re Loving Right Now.”—Vogue. “Best Books of 2018″—Mental Floss. Available everywhere, November 6, 2018: My biography of Edward Gorey—artist, writer, stage designer, playwright, and legendary eccentric, published by Little, Brown. DETAILS HERE. “Knowing Gorey’s full story, done sparkling justice by Mark Dery, will only make you adore him more. '”—Caitlin Doughty, author of Smoke Gets In Your Eyes.